Swim Defiance is now a part of the Global Swim Series which is the world's largest collection of open water swim races and still growing! They are dedicated to growing and creating excitement around the sport of open water swimming. 2017 PNA Champs and Zones Champs Meet Results! Thank you to everyone that came and swam at PNA Champs and NW Zones Champs meet this weekend! We hope you enjoyed your time at the King County Aquatic Center and had great swims. We look forward to seeing everyone at PNA Champs and Zone meet this weekend! Here are some documents, for the Coaches, to hopefully make your job easier this weekend. 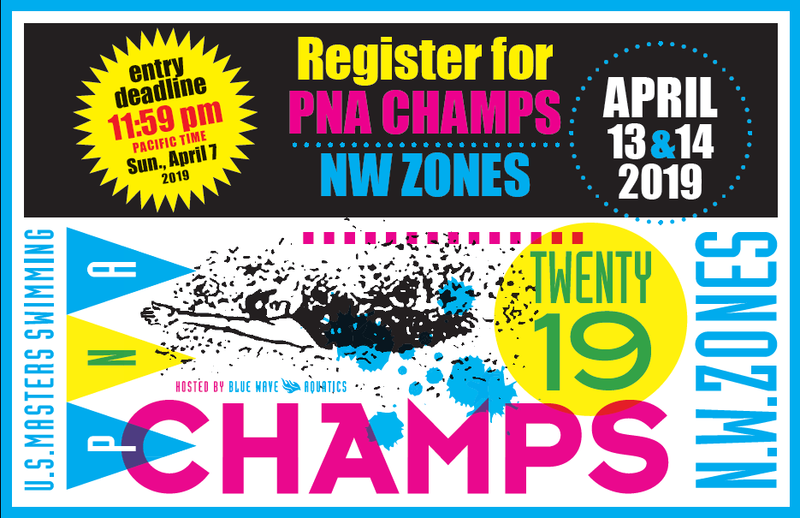 Welcome to 2017 PNA and Zones Championship meet April 8th and 9th, at the King County Aquatic Center (KCAC) in Federal Way. This year we will have 1,145 splashes int he pool by 287 swimmers. We are one week away from Last Gasp of Summer Open Water Swim hosted by Blue Wave Aquatics! We look forward to seeing everyone at PNA Champs this weekend! 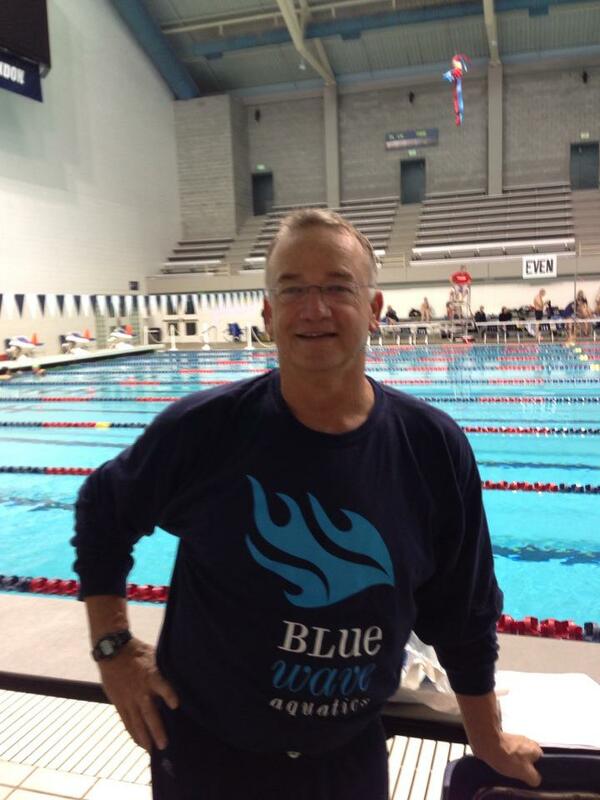 We are excited to add custom Blue Wave merchandise to our Swim Outlet on line store front. You can get BWAQ merchandise when you need and want it. Order your team suits now if you want to receive them by Champs. I've been told the estimate turn around is 7-10 days. Check back to the store periodically, we have more items pending design approval. 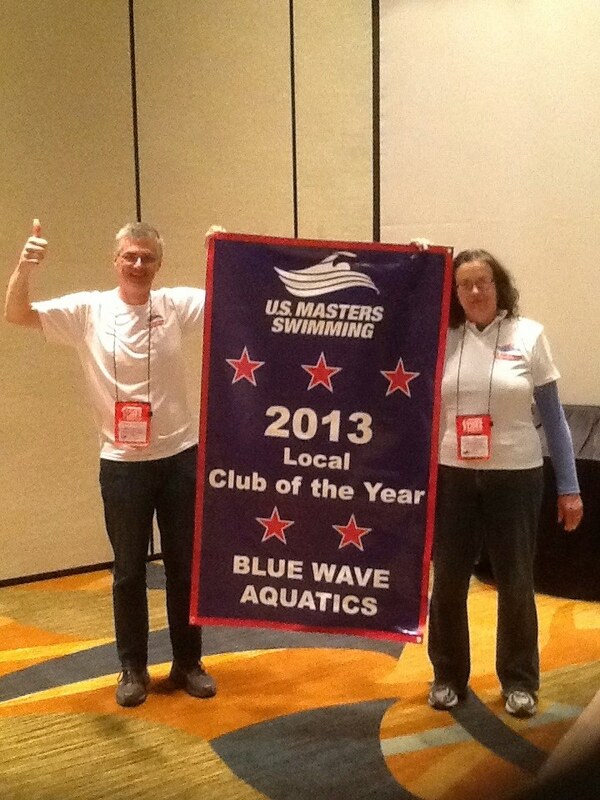 Blue Wave Aquatics was nominated in December and won the U.S. Masters Swimming Club of the Month-January 2016 check out the blog post http://www.swimoutlet.com/blog/us-masters-swimming-club-of-the-month-january-2016 A special thank you to Ken Kreer for seeing this information 1st! This week has been refreshing hearing you talk about potentially entering the SCM Zone Championships in November. When you are fired up it makes my job fun and we can share the vision of moving forward towards a common goal vs. just showing up to get a workout in. As we enter into short course meters it's a time to revisit and sharpen basic skills. Thank you for swimming at PNA Champs this weekend! We hope everyone enjoyed the meet and would love to hear feedback. We are 6 weeks from our annual CHAMPS meet at KCAC on April 12th and 13th and I can’t think of a better way to prepare for the meet mentally and physically than to change things up. The change up will be purposeful, increase fitness and most importantly add an element of adventure/fun. We have made so much progress stroke wise and can’t think of a better way to start wrapping up the short course season. We are having the 1st Annual Super Swim and we want you there! Thank you for being a 2013 member of U.S. Masters Swimming and the Pacific Northwest Local Masters Swimming Committee (LMSC). USMS appreciates your membership and again this year is offering more value if you renew early. Renew for 2014 before December 31, 2013 and you will receive discount codes from eleven USMS sponsors. Big medal haul for BWAQ swimmers at IGLA. We hope everyone had a great time at the 2013 PNA Champs meet! There were a lot of great swims, the meet ran smooth and on time! We have posted the meet results, distance events with splits, and distance / relay events with splits. All results are also posted on SwimPhone. Update - The Blue Wave Aquatic towels that you ordered last month are here! Judy Williams will bring them to the FWCC practice this morning and also ECAC on Monday. If you cannot pick them up at either practice we will get them to you. Team suits have been selected for Champs. There are both a polyester with blue waves and a lycra (black with blue trim) to select from. Show your team spirit and wear your new team suit at Champs April 13th and 14th! 2013 Steve Engle Memorial PNA Championship Meet information has been posted on the Event page. Blue Wave Aquatics hosts this event each year and we are expecting record turnout again this year. Talk to your coaches about signing up to swim this event - we always want a strong showing of our swimmers here. 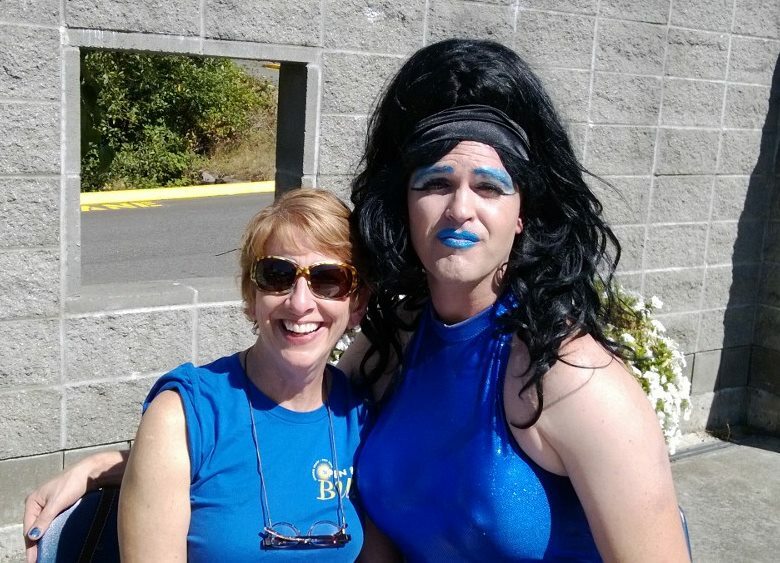 Blue Wave Aquatics is hosting a fundraising event for Evergreen Community Aquatic Center, in Burien. Unlike other pools in the area Evergreen Community Aquatic Center is a non-profit 503c organization that receives NO funds from goverment agencies. At this time the pool needs to repair the filter screening system and needs funds raised from this and other fund raising events. We are really excited with the growth that is happening with the Evergreen crew! However, with any type of growth there are always growing pains (crowded evening lanes). Problem solved! Now, we have 4 lanes on Monday and Wednesday evenings so come and enjoy the space and wider interval ranges. I have been politely informed from a few pool managers that some of our swimmers at varies venues have been getting in the pool before a BWAQ practice and or staying after workout to continue swimming. If you are paying the pools entrance fee and are integrating with an existing lap swim it's ok. However, if you are not paying for lap swim and or swimming without a coach or lifeguard present that isn't ok. Saved the best e-mail for last! We had an awesome showing of 6 swimmers at the 1st Covington Workout!!! Sharon is going to be an awesome coach for you all as well as a good attraction to your workout group. A couple of exciting schedule changes are coming January 1st for Blue Wave Aquatics! Pneumonia Open at Sand Point Country Club Postponed! As you (hopefully) know by now, we've had to move the December 1 Sand Point Pneumonia Open to March 2, owing to problems with our boiler. Here's how that affects you. 1. If you're already entered and can make the new date, your entries will automatically transfer over. 2. Registration is now RE-OPENED until February 20, so please encourage your teammates to enter! Congratulations to Scott Lautman who won the 200 Meter Butterfly and broke the FINA Masters World Record! Congratulations to Scott L who broke the 200 Fly FINA Masters World Record! The results for BAMFest 2012 have been posted on our website. What an exciting couple of years we have had at Blue Wave Aquatics! We have expanded, changed our name, and hosted some great meets! The Board of Directors has submitted a nomination package to recognize our great accomplishments with USMS. We hope they see what a great club we have and all that we have done over this last year! We have attached our cover letter and nomination form for you to read. We are looking for another south end permanent Saturday practice and want your input! Our current Saturday practice at the community center is very popular and we would like to offer another venue for our regular Saturday swimmers and relieve some of the overcrowding. CHAMPS are around the corner April 14th & 15th! We would like everyone's participation in this event! The more people who enroll the more momentum, fun and relays we can create. Congratulations to everyone who swam the 2012 USMS One Hour Postal National Championship! We will be entering your results this week and have sent copies of your splits sheets to you - if you have not received your copy please let me know ASAP! Deadlines, Deadlines, Deadlines Sign up today! We are looking for more volunteers to help pack the merchandise ordered for the One Hour Postal. Let's just say there is a lot of merchandise that was ordered and it needs to be ready to ship on Monday! 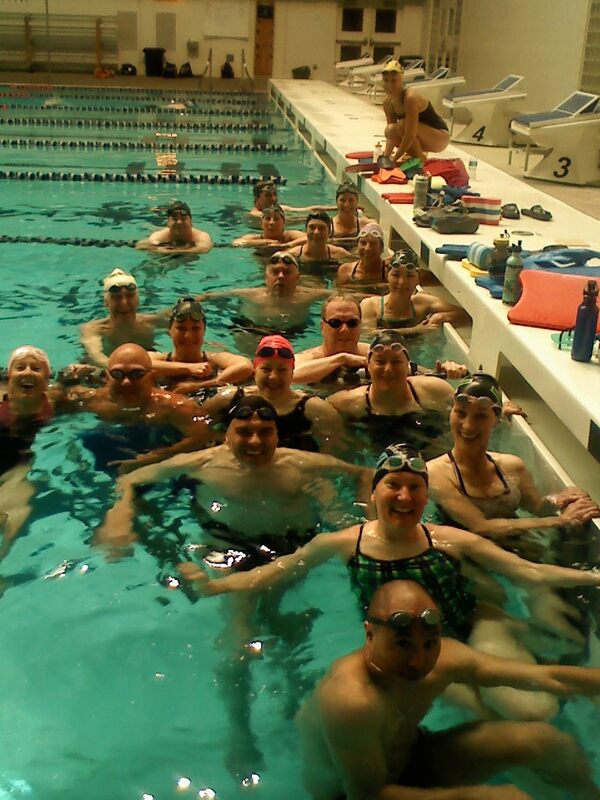 We are joining in on a race night workout at the King County Aquatic Center, Wednesday February 8th at 6:30 PM. The KCAC control room staff need to test their equipment for the NCAA meet coming up and need to run a simulated meet. Congratulations to our swimmers that swam the 2012 USMS One Hour Postal National Championship! We will be registering your times once everyone has swam at KCAC this Sunday. As you know Miles is leaving for school on January 1, 2012. We are sad Miles is leaving, but are excited he is opening another chapter in life. Fife will be closed for maintenance December 23rd - January 16th. Sumner and KCAC are great alternatives for our Fife swimmers. Meet results for the Tualatin Hills NW Zone SCM Meet on the 5th of November and the 3rd Annual Whidbey Island SCM Meet on the 13th of November have been posted online. Results for all meets may be found by clicking on the Events / Archived Events tabs on the menu. Confused about 2012 USMS Registration? If you are confused about the 2012 USMS Registration, you are not alone. Let me explain. Every year, all swimmers are required to register with USMS. USMS provides insurance for our team and coaches. It is mandatory that all BWAQ swimmers register with USMS. The time for existing swimmers to register is sometime before Dec 31st. The cost for 2012 is $47. 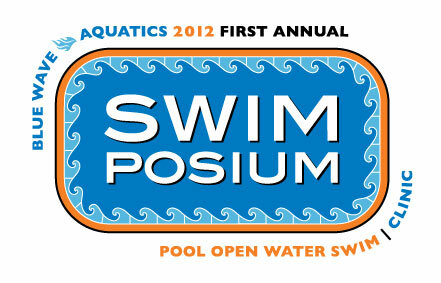 Eligibility: Open to all USMS & MSC registered swimmers 18 and older as of 12/31/2011. Blue Wave Aquatics will become its own club by a vote of our members overwhelming support voting 88% YES. By becoming our own club Blue Wave Aquatics and our Coaches will receive the national attention our team and coaches have worked hard to achieve. BAM Fest results are available on the Events / Archived page by CLICKING HERE! Congratulations to all our swimmers: Morgan A, Alicia K, Erika M, April G, Tina W, Nellis K, Patricia D, Jean B, Brook B, Dalin K, Scott M, Art Lapin, and Coach Rachel T.
GOOD LUCK TO EVERYONE AT BAMfest! Bet You Can't Swim Just One! What a great way to start our 4th of July celebrations than a swim at the King County Aquatic Center! Thanks Jenn - Great workout this morning! Please take a moment and read about lane etiquette. We want everyone to stay safe, have fun, and have a productive workout environment. Thanks also to everyone who had extra suggestions that you sent in. Check the bad or nervous energy at the door. Distracted minds causes crashes in cars and in the pool. Honor yourself and be present for the workout session. Hang in there all our KCAC swimmers ~ back to regular schedule next week! Tuesday, 07/05 Back to regular schedule... YEAH!!! Thank you Wendy for getting our workouts in during Synchronized Swimming Nationals! Competition Page Updated New Events Added To The Schedule! Northwest Senior Games - Congratulations to our swimmers! We will post results as soon as we see them. August 7th - Aqua Run Open Water Swim - online registration now available! The competition page has been updated with SANCTIONED and NON-SANCTIONED events for the summer! The swim team schedule page will display our alternating weekend schedules for 5 Mile Lake, Angle Lake, Evergreen Community Aquatic Center, and Marine Hills Swim and Tennis Club. Please check the swim team schedule for up to the date information about our weekend activities! 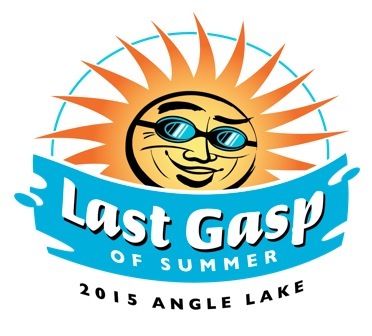 Last Gasp of Summer registration opens today! Join us September 17th at Angle Lake, in SeaTac, for a fun and challenging race with one and two mile events, awards, and a picnic lunch. Angle Lake is a beautiful L shaped lake in the heart of SeaTac with a beach to spread out and enjoy the last open water event of the season. For safety measures please confirm attendance! We have 2 lifeguards/coaches and kayaks. We will provide more if needed. If anyone would like to come paddle as part of the adventure and safety crew you are welcome! Blue Wave Aquatics is introducing a new membership geared for our open water swimmers and Triathetes! 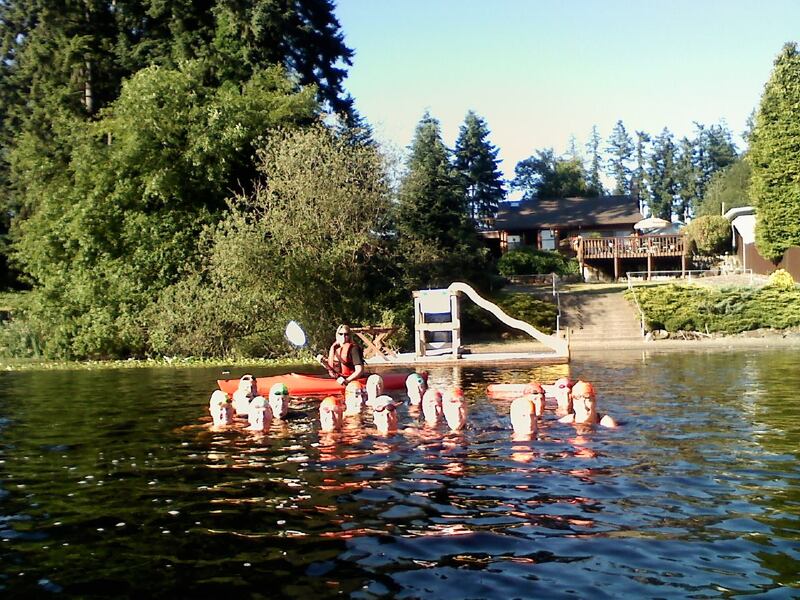 $45.00 per month - unlimited open water practices during the months of June, July and August. Spring Nationals results have been posted at http://www.bluewave-aquatics.com/Competition.aspx?Task=Archived. We heard you loud and clear! You want tri support, carpool to events, discuss swim related topics and connect with other swimmers. Blue Wave Aquatics Forums are now open and ready for your discussions! It's easy to create an account and start posting. A few discussions have been set up, we are looking for input on what you want to discuss so let us know what is important to you. See you in the forum. The May / June issue of the WetSet has been published on the PNA website. 2011 Masters Olympian Clinic at Fife Swim Center featuring Ian Crocker and Megan Jendrick! Backstroke, butterfly, breaststroke, freestyle, motivation, autographs, gift bags and more! Have you seen this months newsletter? If not take a peak - it is full of exciting information about the Champs Meet, some great pictures and a lot more information. When you see Dan let him know what an AWESOME newsletter this was !! New positions to the board, this year, include 'Members at Large' for each venue. With over 120 swimmers, on the team, the board wanted to make sure each voice can be heard! Your representative is your voice to the board. If you have questions, comments, or compliments please let your representative know so they can be addressed at the next board meeting. Please update your 2010 - 2011 goals and get them to your coahces. Thank you to those who have already done so. Your Club Assistant account allows you to post your goals. Click 'Edit My Profile' and fill in the 'Athlete Bio / Goals' section at the bottom. Blue Wave Aquatics Swim Team offers fitness swimming and competitive swimming for adults ages 18 and up. Swimmers of all ability levels can find professional assistance in developing and enhancing their strokes.